The book ‘In The Shadow Of A Sharp Edged Sword’ by S Thamilini, former head of the Women’s Political Wing of theLTTE. COLOMBO: The book ‘In The Shadow Of A Sharp Edged Sword’ by S Thamilini, former head of the Women’s Political Wing of the Liberation Tigers of Tamil Eelam (LTTE), has become controversial. While one section of Tamils says that its criticism of the militant outfit will weaken the Tamil case at the UN Human Rights Council (UNHRC), and another says that the book will help get at the truth, which is what the Tamils want to know. The Tamil nationalist lobby says that by alleging that atrocities were committed by the Tamil Tigers also, the book weakens the Tamil case that it was the Sri Lankan armed forces which had committed all the war crimes. Activist Thyagarajah Nirosh told Express that Thamilini had played into the hands of the international community which has been saying that both the armed forces and the Tigers committed war crimes. However, a moderate Tamil leader said that the argument that war crimes were committed only by the Lankan armed forces will not hold water in the international arena because all UN reports, including the one released last September, have listed violations by both sides. “The Tamils’ aim is to find out the truth. That is why they have been asking for an independent international inquiry. A one-sided argument will not help the search for truth,” the leader said. 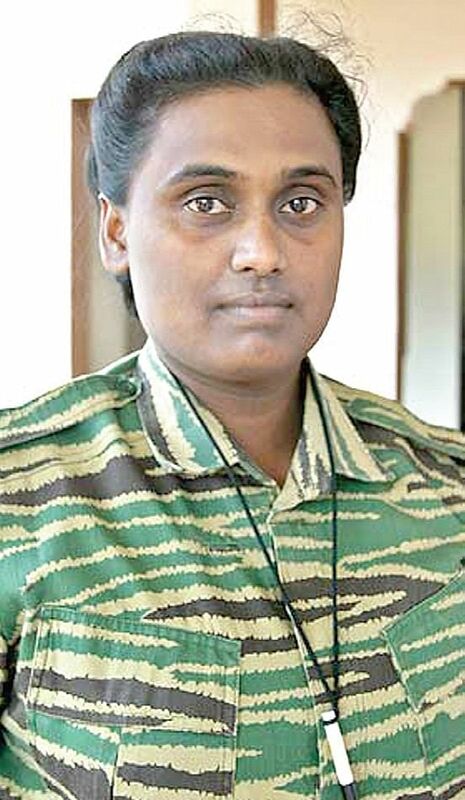 Tiger supremo Velupillai Prabhakaran’s deep seated fear of the Liberation Tigers of Tamil Eelam (LTTE) being disarmed as a result of a peace process, made him dodge any kind of political settlement with the Sri Lankan government, according to Thamilini. In her book, written some months before cancer claimed her life in October 2015, Thamilini said that Prabhakaran firmly believed that the LTTE’s and the Tamils’ security rested only in the possession of weapons, and that all would be lost if a peace settlement meant the LTTE’s laying down arms. According to Thamilini’s husband, Jeyakumar Mahadevan, she pointed out that several opportunities to reach a settlement with Colombo went unutilized because of the fear of “losing the gun”. Thamilini Identified the principal causes of the LTTE’s defeat in war. “Among them were war fatigue, having fought for 30 long years continuously, and infiltration of the LTTE’s set up by Sri Lankan intelligence. The advancing age of the commanders was also a factor. Many of the top commanders were 45 to 50 years old at the time of the 2006-2009 Eelam War IV. Thamilini recalls how many of them could not run a mile,” Jeyakumar told Express.